In this 6-parts tutorial series, we will be building a CMS with Laravel and Vue.js. The birth of the internet has since redefined content accessibility for the better, causing a distinct rise in content consumption across the globe. The average user of the internet consumes and produces some form of content formally or informally. An example of an effort at formal content creation is when an someone makes a blog post about their work so that a targeted demographic can easily find their website. This type of content is usually served and managed by a CMS (Content Management System). Some popular ones are WordPress, Drupal, and SilverStripe. A CMS helps content creators produce content in an easily consumable format. In this tutorial series, we will consider how to build a simple CMS from scratch using Laravel and Vue. Our CMS will be able to make new posts, update existing posts, delete posts that we do not need anymore, and also allow users make comments to posts which will be updated in realtime using Pusher. We will also be able to add featured images to posts to give them some visual appeal. If you already have the Laravel CLI installed on your machine, please skip this section. 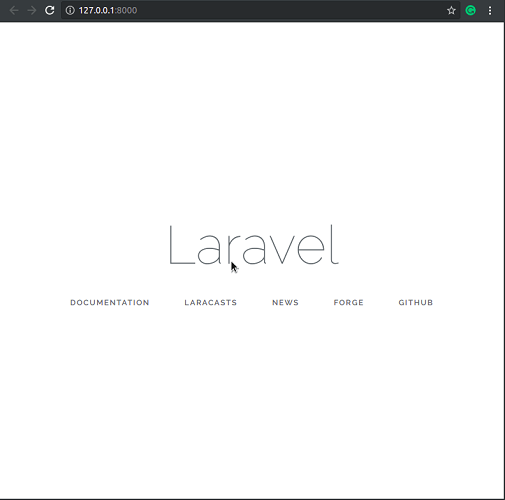 The first thing we need to do is install the Laravel CLI, and the Laravel dependencies. The CLI will be instrumental in creating new Laravel projects whenever we need to create one. 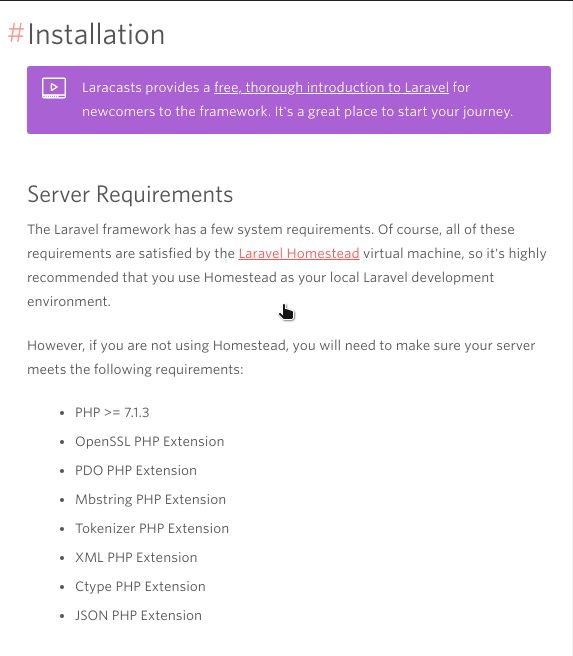 Laravel requires PHP and a few other tools and extensions, so we need to first install these first before installing the CLI. Let’s install them one at a time. An equivalent for Windows users could be to download and install XAMPP here. XAMPP comes with a UI for installing most of the other things you have to install manually below. Hence, Windows users may skip the next few steps until the Installing Composer sub-heading. As at the time of writing this article, PHP 7.2 is the latest stable version of PHP so the command above installs it on your machine. # You don't have to do anything as it is installed automatically. Windows users may need to download curl from here. If you are on Windows, you may need to run the previous command in an advanced terminal such as PowerShell or the Gitbash terminal. Windows users can also skip the steps below. In this series, we will be using MySQL as our database system so a prerequisite for this section is that you have MySQL installed on your machine. Linux users - check here for a detailed guide. Mac users, you can just run the command brew install mysql. Windows users who installed XAMPP, as suggested earlier, do not need to install MySQL as it comes preinstalled. Load the project directory in your favorite text editor and there should be a .env file in the root of the folder. This is where Laravel stores its environment variables. Replace the DB_USERNAME and DB_PASSWORD with your MySQL database credentials. Like most content management systems, we are going to have a user role system so that our blog can have multiple types of users; the admin and regular user. The admin should be able to create a post and perform other CRUD operations on a post. The regular user, on the other hand, should be able to view and comment on a post. For us to implement this functionality, we need to implement user authentication and add a simple role authorization system. The above will create all that’s necessary for authentication in our application so we do not need to do anything extra. We intend to create a many-to-many relationship between the User and Role models so let’s add a relationship method on both models. Let’s modify the RegisterController.php file in the Controllers/Auth folder so that a default role, the user role, is always attached to a new user at registration. Now, only administrators should be able to see the dashboard. In a more complex application, we would use a middleware to do this instead. We can test that this works by serving the application and logging in both user accounts; Samuel Jackson and Neo Ighodaro. Remember that in our UserTableSeeder.php file, we defined Samuel as a regular user and Neo as an admin, so Samuel should see a 404 error after logging in and Neo should be able to see the homepage. It works just as we wanted it to, however, it doesn’t really make any sense for us to redirect a regular user to a 404 page. Instead, we will edit the HomeController so that it redirects users based on their roles, that is, it redirects a regular user to a regular homepage and an admin to an admin dashboard. If we serve our application and try to log in using the admin account, we will hit a 404 error because we do not have a controller or a view for the admin/dashboard route. In the next article, we will start building the basic views for the CMS. In this tutorial, we learned how to install a fresh Laravel app on our machine and pulled in all the needed dependencies. We also learned how to configure the Laravel app to work with a MySQL database. We also created our models and migrations files and seeded the database using database seeders. In the next part of this series, we will start building the views for the application.